The bar in the centre of Malaga’s historical quarter advertised ‘Mojitos 4 Anticrisis’. They must have been effective because the Malaguenos inside had all but forgotten Spain’s economic crisis: “Creesis? Que creesis?” Hands clapped flamenco style and feet tapped to the Sevillanas. I’d arrived in the middle of the annual Feria de Malaga, a week-long fair in August that is the hottest event on the city’s calendar. The fair commemorates the Reconquista in 1487 when Christians regained control of the city. 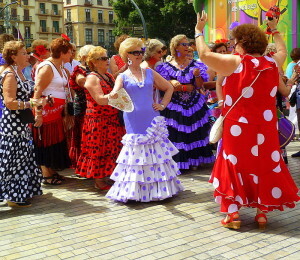 Nowadays, it’s an excuse for Malaguenos to let their hair down and take to the streets with castanets in hand. Every day from noon till early evening, the city centre rocked with musicians, dancers and revellers. And at night, everyone shuttled to a fairground on the outskirts of town and partied till the early hours. 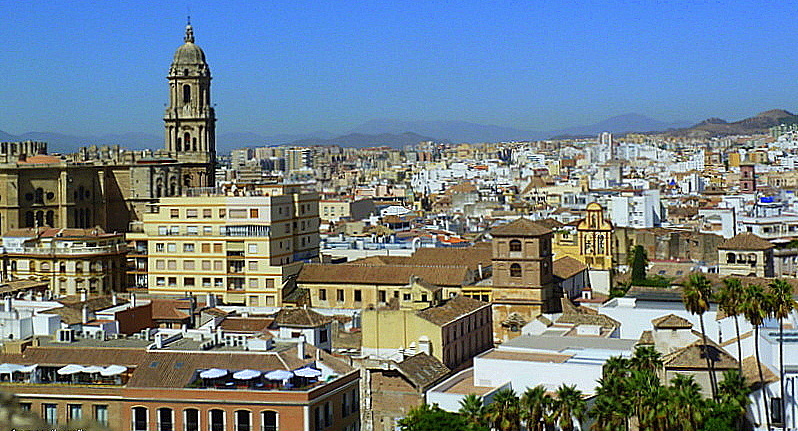 Of course, Malaga, capital of the province of the same name, has more to offer than its Feria. Situated on Spain’s Mediterranean coast, the Costa del Sol, it boasts a sub-tropical climate that makes outdoor life a pleasant experience all year round. 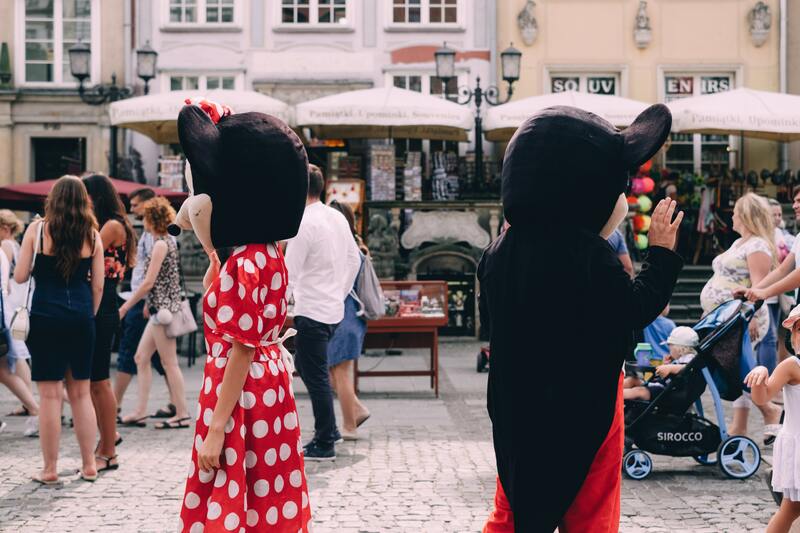 It is chock full of museums, two of which celebrate native son, Pablo Picasso; monuments that reflect a layered history; fashionable hotels and some of the best tapas restaurants in the province. A good bus and taxi service operate throughout the city, and a hop on hop off tour bus loops round key landmarks, but getting to know Malaga is best done on foot. Walking its narrow, winding streets with their traditional balconied houses is delightful, and exploring its past is easy. The historical quarter is small with everything of interest clustered around Calle Marques de Larios, a pedestrianized shopping street running through the centre. The entrance to C/Larios, marked by two large jasmine flower sculptures, starts at Alameda Principal, the main thoroughfare. The street continues north for about 1km to the Plaza de la Constitucion, a popular meeting place and hub of operations during festivals. The city sprawls below Alcazaba, an 11th century Moorish palace with a Roman amphitheatre below its walls. Although heavily restored, this fortified palace retains all the pleasing features of Moorish architecture—graceful arches supported by impossibly slender columns and pillars decorated with intricate stucco designs. Feel its history by arriving early morning and sitting in aromatic gardens beside a bubbling fountain. Above Alcazaba, on a hill overlooking the city is Castillo de Gibralfaro, the castle fortress that appears on Malaga’s flag. 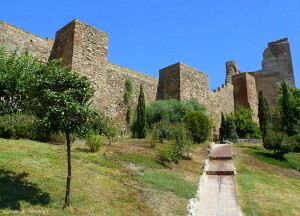 Connected by a rampart to Alcazaba, the fortress was impregnable until Catholic monarchs, Ferdinand and Isabella, laid siege to it in 1487 and smashed centuries of Moorish occupation. A steep path along Alcazaba’s eastern side leads to the well-restored castle ramparts. 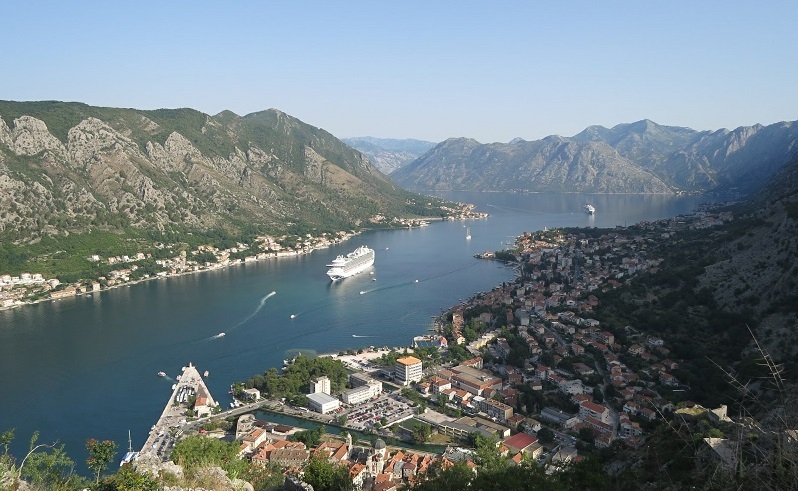 The walk is worth it for stunning views of the city and the harbour. La Terrazza del Gibralfaro, a café outside the ramparts, makes a good rest stop before catching bus #35 back to the city centre. Or walking back—it’s easier coming down. Malaga Cathedral, a Renaissance church a stone’s throw from Alcazaba, surprises with a baroque façade. 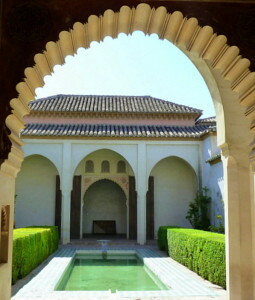 Built on the site of a mosque, its construction started in 1528 and continued for over two hundred years. Malaguenos call it “the one armed lady” because it has only one tower. Apparently, money for building the second tower was given to the Americans to help fight the War of Independence. Nonetheless, its interior impresses with an enormous dome and intricately carved wooden choir stalls and statues. Housed in a 16th century mansion on C/San Augustin, the street where Picasso used to go to school, Museo Picasso is a recent addition to Malaga’s attractions. In the permanent collection are paintings of three of the women in his life which show his progress from Realism to Cubism—first wife Olga Kokhlova in Mantilla in stately realism with her eyes where they should be, but lover Dora Maar, Woman with Raised Arms, and second wife, Jacqueline Roque, Jacqueline Seated, in his later Cubist style. Also on show are some of the artist’s lesser known black and white caricatures of bullfighting scenes which are notable for their simple lines. Casa Natal de Picasso, the house where the artist was born, is a few streets away in Plaza de la Merced. When the going gets hot, it’s cooling to stroll through Paseo del Parque, a 1km strip of palms, tropical shrubs, orange trees, fountains and sculptures. The park is south of the cathedral and leads to the harbour and La Malagueta Beach. Sandwiched between an upmarket residential area and the new port development, the beach made from imported sand, has good facilities including a lifeguard station. Loungers and umbrellas are available to rent, but it’s pleasant to sit under the palms on the grassy mound overlooking the beach. It’s a good place to relax on Monday when museums and historical monuments are shut. Cafes along the beach serve skewers of sardines barbecued on a wood fire, tomato salad, bread, olives and a beer for about €7 a head. Stumble around any corner in Malaga’s old quarter and there’ll be somewhere to eat from street cafes dishing up traditional fare to Michelin starred La Moragaon La Malagueta beachfront serving tapas with a ‘nouvelle’ twist. Tapas used to be bite-sized appetizers to accompany drinks. Nowadays, a selection can create a complete meal. Some restaurants offer tasting menus, but it’s more fun to experiment. Malagueno cuisine offers dishes to suit veggies as well as carnivores, but fish and seafood are staples. A speciality is pescaito frito—a platter of deep fried fish and seafood. As with eating, there are numerous places to drink, many of which are in the north east corner of the city. Forget sangria and try Malaga’s famous sweet wine made from muscatel grapes, described in Shakespeare as ‘sack’. Traditional bars such as Antigua Casa de Guardia, the oldest bar in Malaga, dispense it straight from the barrel. At El Pimpi, a bodega on C/Granada just north of the shopping centre, some of these barrels have been signed by visiting celebs: Tony Blair, Hollywood actor Antonio Banderas, a native son. The bodega is a rabbit warren of bars and alcoves on three floors with a good view of the Roman amphitheatre from one of its terraces. Malaga has no shortage of places to stay and accommodation to suit every pocket, though during the Feria (9-14 August this year), it is wise to make advance booking, especially for places such as the parador at the top of Gibralfaro hill. I stayed at Lola’s, a boutique hotel in the Room Mate chain, ten minutes from the city centre. Lola is funky and modern— glass, stainless steel, and black and white art-deco. Rooms were €80 per night for a double with breakfast, nothing flash just a healthy buffet of cold meats, cheese, Spanish omelette, fruit and yogurt. I wasn’t sure what to expect in Malaga, but I’m glad I went. It’s a city I’d often overlooked on my way to somewhere else in Spain, but I discovered a Spanish city with authentic charm, and one that rewarded with art, history, lively, friendly people and sunshine—the perfect weekend break.